Park Forest, IL—(ENEWSPF)—August 6, 2012. With the weather remaining very warm, it’s hard to believe that fall is right around the corner. Be sure to take some time to review the programs and activities outlined in the 2012 Autumn Recreation Programs & More brochure that was mailed to all Park Forest residents this week. Since many of the programs fill quickly, be sure to register early to avoid being disappointed. The brochure also contains a listing of the 2012-2013 season at Freedom Halls’ Nathan Manilow Theatre. Those that purchase a minimum of three series events are afforded subscriber discounted rates for tickets. And remember that Freedom Hall tickets make a great holiday gift. Additional details about this season’s performances can be found in the ‘Arts & Entertainment’ section. If you did not receive a copy of the brochure in the mail, please stop by Village Hall to pick one up. If your club, organization or local business will be holding activities or events in our community during the upcoming week, please send an e-mail to [email protected]with the details. Submission deadline is noon on Friday of each week. 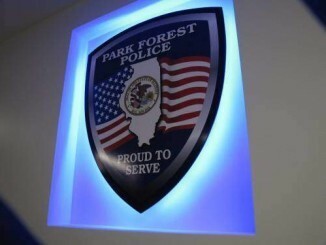 The meeting will take place at Park Forest Village Hall, 350 Victory Dr. Residents are encouraged to attend. Main Street Nights concludes its 2012 season at Park Forest’s DownTown Village Green (Cunningham & Main Streets) rain or shine. On Wednesday, August 8 at 7 p.m., ‘1969’ will take the stage and perform music that will take you back in tie as you find yourself dancing and singing along to the hits of 1969 once again. The band breathes new life into classic rock songs made famous by Jimi Hendrix, Janis Joplin, Jefferson Airplane, Joe Cocker, Cream and many other starts of the psychedelic era. At dusk, the Disney movie ‘The Muppets’ will be shown. The movie is rated PG. In case of rain, performances will be moved to Dining on the Green, 349 Main Street, Call the recorded message at 708-283-5647 for weather related changes or cancellations. For additional information, call the Recreation & Parks Department at 708-748-2005. Events are subject to change. PLEASE NOTE: Chairs will NOT be provided. Please bring your own chair or blanket. On Friday, August 10 from 7 p.m. to 10 p.m., a wine and chocolate tasting will take place at Dining on the Green, 349 Main Street, Park Forest. Tickets are $17 per person or 4 tickets for $49 and can be purchased at Park Forest Village Hall or by phone with a credit card at 708-283-5621. Tickets ordered by phone will be mailed or at Will Call the night of the event. For additional information, call Evelyn Sterling at 708-283-5621 or e-mail [email protected]. The Park Forest Youth Commission is proud to present their annual Youth Day Festival on Saturday, August 25 from 11 a.m. to 3 p.m. on the Village Green in DownTown Park Forest. The theme for Youth Day is promoting Back to School and diversity. Activities include music, food and games with a special focus on school supplies and school preparation. For additional information, call Kevin Adams at 708-748-2005. On Thursday, September 6 at 7:15 a.m., the bus will depart from Park Forest Village Hall, 350 Victory Drive, to begin the Route 66 Overnight Senior Trip. John Weiss will take us back in time as we travel historic Route 66 from Dwight, IL to Springfield, IL where we will visit pieces of history and hear stories of Route 66 throughout the years. We will meet our tour guide in Dwight, IL where we will enjoy a full breakfast before beginning our adventure. Some of the sites we will visit include a swinging bridge, the Beer Nuts Factory, the world’s largest covered wagon and the Abraham Lincoln Museum. We will stay the night in Springfield at the Route 66 Hotel, which includes a pool, so bring your suit! The bus will return to Park Forest on Friday, September 7 at approximately 5:30 p.m. The fee for single occupancy is $205 per person; double occupancy is $170 per person. The fee includes round-trip motor coach transportation, tour guide, hotel and all meals (2 breakfasts, 2 lunches, 1 dinner and a snack). Registration deadline is Monday, August 17. Register in person at the Recreation and Parks Department of Village Hall or register over the phone with a major credit card at 708-748-2005. We will need the name, address, home phone number and emergency number for each person registering for the trip. Tuesday, August 7 at 2 p.m. – Digital Literacy Practice. The first ten people to come may attend these practice sessions. There is no registration for the practice sessions. Thursday, August 9 at 7:15 p.m. – Microsoft Word Practice. The first ten people to come may attend these practice sessions. There is no registration for the practice sessions. For additional information or to register for these events, call the Park Forest Library’s Youth Services Department at 708-748-3731. You can also register on-line at www.pfpl.org. The Park Forest Public Library is hosting a summer-long art exhibit featuring the work from students in Park Forest and the surrounding communities. Mrs. Patricia Moore, the director of the Tall Grass Art Association School of Art, curated students’ work from Illinois School in Park Forest, Glenwood Academy and the Tall Grass Art School. Twenty-three works of art are now hanging in the Library’s Ringering Room. The exhibit is open to the public during regular library hours free of charge. The Library is located at 400 Lakewood Blvd. For more information about the exhibit, call 708-748-3731, extension 22, or visit the Library’s website at www.pfpl.org. Second City for PRESIDENT — October 19 at 7:30 p.m.
C.J. Chenier & the Red Hot Louisiana Band – November 2 at 7:30 p.m.
Peter Mayer ‘Stars and Promises’ – December 22 at 7:30 p.m.
Masters of Motown – February 22 at 7:30 p.m.
Hank and my Honky Tonk Heroes – March 23 at 7:30 p.m.
Julie Fowlis: Music of the Scottish Isles – April 20 at 7:30 p.m. Kids for PRESIDENT – October 26 at 7 p.m. The Rainbow Fish – February 15 at 7 p.m.
Travis LeDoyt ‘Tribute to the King’ – October 9 at 11 a.m.
Mike Toomey’s TV & Me – November 13 at 11 a.m.
‘Home for the Holidays’ featuring Beckie Menzie and Tom Michael – December 11 at 11 a.m.
Metro Jazz Voices: Four-part Harmony, Love Songs for Valentines — February 5 at 11 a.m.
Switchback – American Roots – Celtic Soul – March 12 at 11 a.m.
Billy Elton – Celebrating the Music of Billy Joel and Elton John – April 9 at 11 a.m. If you purchase 3 or more Main series events, you are considered a subscriber and are entitled to reduce ticket price (NOTE: Senior series and Family Theatre are not included). For ticket prices and additional information, call 708-503-7737 or visit www.freedomhall.org. The 1950s Park Forest House Museum, 141 Forest Boulevard, is ready for summer visitors. The museum is open Wednesdays and Saturdays from 10:30 a.m. to 3:30 p.m. or for small groups by appointment. Donation is Adults- $5; 12 & under free with a paying adult. Group tours may be subject to special pricing. The tour is free with the purchase of a Marshall Field’s Park Forest Store brick at 1 for $15; 2 for $25. Convenient, free, street parking is available right outside the front door. The museum is operated by the Park Forest Historical Society and sponsored by Andrew Brown of Central Park Townhomes. This summer the museum is featuring a small display on the early years of the Aqua Center swimming pool complex, once the largest in the state of Illinois. The transcript of an oral history on the Aqua Center is in the living room, illustrated with photos of the original layout. On display in the china cabinet are original badges from the ‘Badge Pool.’ Youngsters used to have to prove they could swim the length of that pool to earn the badge to pin on their swimsuits. For additional information, visit www.parkforesthistory.org. On Wednesday, August 8 at 7 p.m., ‘Brass for All Seasons’ will take place at Ravisloe Country Club, 18231 Park Avenue, Homewood. The always popular IPO Brass IPO Brass Quintet will perform seasonal works from across the musical spectrum, including Vivaldi’s ‘Four Seasons,’ Gershwin’s ‘Summertime,’ ‘Brass Calendar’ by Peter Schickele, classics by Shubert, Grieg, Kosma, Gassi and John Philip Sousa’s ‘Starts and Stripes Forever.’ This concert will be held outdoors and seating will be provided. General admission tickets are $25 and can be purchased at: https://secure.ticketsage.net. For additional information, call 708-481-7774 or visit www.iopmusic.org. Summer music at Ravisloe Country Club, 18231 Park Avenue, Homewood concludes on Wednesday, August 22 at 7 p.m. with the return of the Southland Jazz Ensemble for another great evening of hard-driving swing, intricate Latin grooves, tender ballads, and provocative soloing. This concert will be held outdoors, weather permitting, and seating will be provided. General admission tickets are $25 and can be purchased at: https://secure.ticketsage.net/EventsPage.aspx?PerfID=180665&;ws=1. For additional information, call 708-481-7774 or visit www.iopmusic.org. ‘Dog Days & Green Things’ exhibit will run through August 31. This wonderful exhibit includes 18 different artists. For Gallery hours, contact Patricia Moore at 708-833-5108 or Bev Szaton at 708-748-3946. ‘Luminosity,’ the Gallery Artists Annual Exhibit opens on August 10 and runs through October 7. An opening night reception will be held on Friday, August 10 from 7 p.m. to 9 p.m. The exhibit and reception are free and open to the public. For additional information, call 708-748-3377 or visit http://www.tallgrassarts.org. On Saturday, August 25 at 7 p.m., the documentary film ‘The One Percent’ will be screened at UUCC. A discussion will follow the screening. This documentary focuses on the growing ‘wealth gap’ in America, as seen through the eyes of filmmaker Jamie Johnson, the 27 year old heir to the Johnson & Johnson pharmaceutical fortune. Born rich, he explores the political, moral, and emotional rational that enables a tiny percentage of Americans (the one percent) to control nearly half of the wealth of the entire United States. Free coffee, tea and popcorn will be provided. Bring a snack or non-alcoholic drink to share if you wish. Optional donations are welcome. For additional information, call 481-5339 or visit www.uuccpf.org. The GSU Visual Arts Gallery will present ‘So Real,’ a show featuring artwork by Anthony Adcock, Amanda Grieve, and Renee McGinnis who exploit realism for their own purposes. The exhibit will feature contemporary paintings that explore current cultural topics using traditional, time-tested techniques and materials. The exhibition will open on Wednesday, August 1 and run through August 30. A reception will take place on Wednesday, August 29 from 5 p.m. to 8 p.m. The exhibition and reception are free and open to the public. For additional information or Gallery Hours, call 708-534-4021 or visit www.govst.edu/gallery. ‘In Feminae, Arts, Vivo, Et Vino Veritas’ (In Women, art, life, and wine are truth) will run through August 23. Featured Artists are: Denise Burklow, Ellen Curley, Sherri Denault, Margie Glass-Sula, Jan Glazer, Jane Haley, Lisa Henley, Candice James, Jean Janssen, Carla Kroll, Kamisha Langsdale, Patty McWilliams, Jeanne Monohan, Lorayne Pagast, Dorothy Green, Mary Weeks, and Jeanine Young. The exhibit is free and open to the public. For Gallery Hours or additional information, call 815-464-8818 or visit www.monkeymindartstudio.com. Monkey Mind Art Studio will be hosting its first Garage Sale to help fundraise money for its art school scholarships and art gallery. The Garage Sale will be held on Friday, August 17 from 9 a.m. to 3 p.m. and Saturday, August 18 from 9 a.m. to 1 p.m. Donations of art, gently used/new art supplies, picture frames, movies/music/books, home and garden decors, collectibles and vintage clothing are needed. You can drop off items during the month of August during regular gallery hours and by appointment. The gallery is also looking for volunteers to help label, price, sort and sell. For Gallery Hours or additional information, call 815-464-8818 or visit www.monkeymindartstudio.com. ‘If Life Were Still’ presents the works of three painters – Lorraine Sack, Richard Laurent, and Tanya Gadbaw – who interpret the inherent beauty, mystery, personal memories and visual metaphors revealed through the centuries-old tradition of recording particular details of specific objects. All three artists are painters, working in oils, focusing on factual and expressive depictions of objects – their symbolic significance, the emotions they stir, and the visual challenges they inspire. The exhibit will and run through September 8. An opening reception will be held on Friday, August 10 from 6 p.m. to 9 p.m. Both the exhibit and the reception are free and open to the public. For Gallery hours or additional information, call 708-754-2601 or visit http://www.unionstreetgallery.org. On Thursday, August 9 at 7 pm. in GSU’s E-lounge, learn how to earn elementary or secondary (biology, chemistry, or mathematics) teacher certification and secure a teaching position through GSU’s Alternative Certification Program. This program offers a way to earn a teaching certificate and embark on a new, rewarding career in education. The Teacher Quality Partnership (TQP) leads to a Masters of Art in Teaching (MAT) in Urban Teacher Education in elementary or secondary (biology, chemistry, or mathematics). TWP provides an opportunity to co-teach for a year with a certified teacher, a $30,000 stipend and a 25% reduction in tuition. TWP is made possible by a grant from the U.S. Department of Education. This program is open to college graduates with a bachelor’s degree. The application deadline for the Alternative Certification program, beginning Spring 2013, is November 15, 2012. For additional information, call 708-534-4399 or visit www.govst.edu/altcert. Monday, August 20 from 5:30 p.m. to 7:30 p.m. at Old Plank Trail Bank, 20901 S. LaGrange Road when Judi Mack, Regional Representative for GSU CenterPoint presents the program sponsored by old Plank Trail Bank. Wednesday, August 22 from 9 a.m. to 11 a.m. at Kallsen Center in Tinley Park Village Hall, 16250 S. Oak Park Avenue when Dan McAllister, Regional Representative of GSU CenterPoint presents the program sponsored by the Village of Tinley Park. Wednesday, August 22 from 6 p.m. to 8 p.m. at Markham City Hall, 16313 Kedzie Avenue when Elliot Johnson, Regional Representative for GSU CentrPoint presents the program sponsored by the City of Markham. The workshops will focus on personal, financial, and legal aspects of starting a business. Participants will learn what steps to take and what resources are available to assist new business owners succeed in today’s challenging economic climate. For additional information, contact CenterPoint at 708-534-4927 or visit www.centerpointgsu.com. The Mobile Workforce Center’s mobile unit will be at GSU every Tuesday, from 9:30 a.m. to noon and 1 p.m. to 3:30 p.m., parked near the university’s front entrance. Center services include resume development, access to online job boards and websites, instruction in how to conduct an online job search and improve keyboarding skills, and assistance of staff. The center is equipped with 11 computer stations with Internet access, printer, and copy machines, and is wheelchair accessible. Services are free and available to residents in all counties. For additional information, contact the Workforce Services Division of Will County at 815-727-4980. PSC is hosting a ‘New Directions’ information session for returning adult students on Wednesday, August 8 at 6 p.m. in the Conference Center on PSC’s main campus. Returning adult students should attend to find out more about ‘New Directions’ and the many academic programs and resources available at PSC. To register for the event, visit returningadults.html or call Tamika Montgomery at 708-709-3512 or e-mail at [email protected]. You can bridge the gap between technology and a new you at PSC’s new Opt In program that consists of two computer training centers and free classes to teach basic technological skills. One location is at the Adult Training and outreach Center in Room A145 at PSC’s main campus. Hours are Monday through Thursday from 3 p.m. to 6 p.m. The other location is at the Matteson Area Center’s Computer Training Lab located at 4821 Southwick Dr., Matteson. Hours for this location are Monday through Thursday from 3:30 p.m. to 6:30 p.m. No matter what skill level you have or want to have, Opt In can help. Both computer labs and on-site tutors are free and open to the public. For additional information, call Lisa Zeigler at 708-709-3548 or e-mail [email protected]. Rich Township is offering free basic computer skill classes for adults every Tuesday and Thursday from 10 a.m. to 12 p.m. at the Leonard Robinson Family Services Center, 22013 Governors Highway, Richton Park. Participants will learn Microsoft Word, Excel, PowerPoint, internet skills, résumé building skills, and more. Classes are open only to residents of Rich Township. For additional information, call Mark Mason or Joe Moran at 708-748-6722. On Thursday, August 9 from 9 a.m. to 1 p.m. those 50 years and up can attend that Nature Camp for Seniors. Did you go to camp when you were a kid? Or maybe you never did and were always jealous of your friends that got to spend the summer away at camp. If so, then this fun-filled popular program is for you. Join naturalists as you spend the morning creating crafts to take home and strolling through the summer woods. Lunch will be provided. There is a fee of $7 per person. Registration is required. For additional information or to register, call 708-747-6320. On Saturday, August 11 at 8:30 a.m., Andy Neill will continue his program of plant identification at Bartel Grassland. Park in the lot at the corner of Flossmoor Road and Central Avenue. The program is free and open to the public. Those who are fascinated by our smallest birds will have a chance to see Ruby-throated Hummingbirds at close range and even ‘adopt’ one at the Second Annual Hummingbird Festival on August 18 from 4 pm. to 7 p.m. 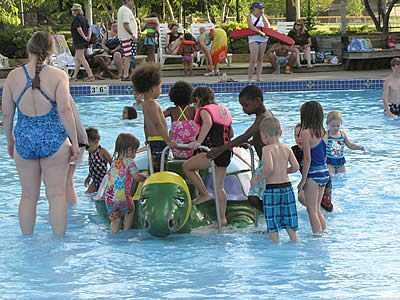 The Festival will be held at the Wetland Discovery Center at the Park Forest Aqua Center, 30 N. Orchard. Bird Expert Vernon Kleen will band some of the birds that visit the Hummingbird Garden planted there. The birds will be captured in remote-controlled traps attached to the Center’s hummingbird feeders, weighed, sexed and measured, and then banded so avian scientists can learn more about them, especially their migration patterns. Kleen is one of the few licensed hummingbird banders in Illinois,. Anyone who attends has the opportunity to ‘adopt’ one of the tiny creatures by making a $5 donation to the Illinois Audubon Land Acquisitions Fund. Donors will receive a special adoption certificate and have the privilege of holding, then releasing, their own bird as it continues to migrate south for the winter. Those adopting birds will be notified if their bird is recaptured. The $5 fee goes to purchase land in Illinois for wildlife preservation. The 39th Annual Farmers’ Market will be held from 7 a.m. to 12 noon on the corner of Lakewood & Cunningham Drive through October 27. The market offers local fresh vegetables, fruits, organic breads, cookies, specialty produce, garden bedding plants, perennials, garden ornaments, salsas, BBQ pork chops, hamburgers, Polish sausage, fresh tamales, jewelry, funnel cakes, and fundraising products from a variety of individuals and civic groups. For additional information, call Brenda Walker at 708-748-1118 or e-mail [email protected] or visit www.pfhealth.net. Senior citizens of all income levels are invited to lunch weekdays at the Community Nutrition Network (CNN) site located inside the Rich Township’s Shirley J. Green Senior Center. The CNN site is open to all south suburban residents, including those living outside of Rich Township. Participants must be 60 years of age or older. The suggested donation for lunch is $2.50. Lunch is served Monday through Friday at noon. Bingo begins at 11 a.m. For additional information or to make a reservation for lunch, call 708-747-2700. The Park Forest Commission on Human Relations is looking for people who have gone beyond the call of duty for the Good Egg Award. The award honors youth and adults who have made an extraordinary commitment to improving the quality of life in their communities through human relations and human rights advocacy. The deadline for nominations is Monday, August 13. To request a nomination form, call Evelyn Sterling at 708-283-5621 or e-mail [email protected] or visit the Community Relations tab at www.villageofparkforest.com. All are invited to Faith United Protestant Church for FREE Java Tuesdays. Visitors are asked to go to the Indianwood Boulevard side entrance between 8:30 a.m. and 10 a.m. for free curbside service or to come and sit a bit. The event will continue each Tuesday as a form of outreach to the community throughout the summer and fall. For more information, call 708-747-1330. The Sertoma Centre’s Good As New Thrift Store, 4331 Lincoln Highway, Matteson, is seeking donations of gently used furniture and other household items in good condition. Proceeds from the sale of items at the Thrift Store go directly to supporting the 14 programs offered by Sertoma Centre. The store also serves as a training program for consumers at Sertoma to allow them to gain experience and transition into permanent retail jobs. The Thrift Store will pick up furniture donations within the south and southwest suburbs of Chicago free of charge. To make an arrangement to make a tax deductible donation of furniture to Good As News, call 708-481-5627. For additional information, to schedule a tour, volunteer or to make a donation, please call Amy Chmura at 708-730-6206 or e-mail [email protected]. The Rotary Club of Park Forest urges you to purchase a Golden Opportunities 2012 book to help support its youth activities. Books are only $25 and are now available for purchase at the Park Forest Library, 400 Lakewood Blvd. If you have a used motorized wheelchair that you no longer need and would like to help a person with a disability, the Sertoma Centre will accept your donation. Contact Melanie Jones at 708-730-6206 for additional information. Sources: Park Forest 2012 Summer Recreation Programs & More Brochure, 2012 Park Forest Spring/Summer Calendar, Park Forest ‘Discover’ magazine, Rich Township Report, Park Forest Historical Society, Village of Park Forest, Governors State University, Prairie State College, Center for Performing Arts, South Suburban Family Shelter, Park Forest Historical Society, Illinois Philharmonic Orchestra, Illinois Theatre Center, Sertoma Centre, Inc., Union Street Gallery, Monkey Mind Art Studio, Thorn Creek Audubon Society, and Tall Grass Arts Association websites.